Want it by Thursday 25th April? Order within 3 days, 16 hours, 35 minutes and choose Royal Mail Tracked 24 Hour at checkout. A classic reimagined, this creativity circular pendant from Swarovski is truly inspired. 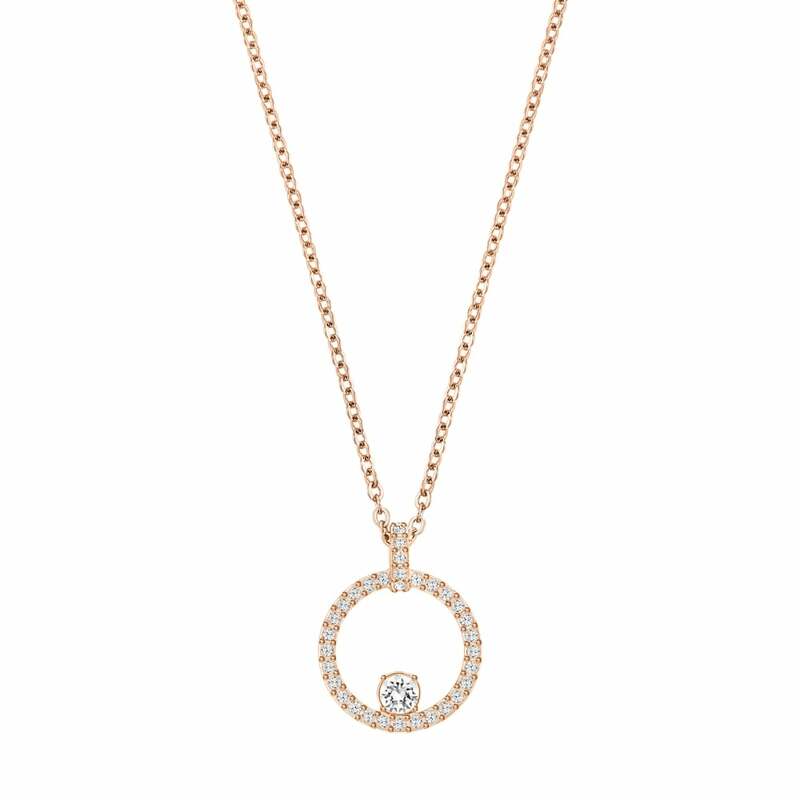 We adore the circle of rose gold plate, set with clear Swarovski crystal, and the solitary clear crystal that sits at the bottom of this circle. The pendant has the feel of a bird on a perch. The necklace is a great way to add some sparkle to your day look, and understated glamour to your evening style.